Does Tdap Protect You From Whooping Cough? Within the past few years an epidemic of whooping cough swept through and injured youngsters in California and Arizona. There were tragic childhood mortalities in the frail not yet vaccinated pediatric population. The researchers from the Center for Disease Control and National Institute of Health swooped in and concluded that adults, primarily grandparents, were transmitting the disease to their newly arrived and not yet immunized grandchildren. They reasoned that the adults’ immunity from their childhood vaccinations with DPT had worn off and they were unknowingly transmitting it to the youngsters after a mild adult upper respiratory tract infection with bronchitis. We were told that in adults, Bordetella pertussis produced bronchitis indistinguishable from a viral bronchitis. This was just the type of illness health care leaders were telling physicians not to prescribe an antibiotic for in their international campaign for the prevention of antibiotic resistance developing. Little did they know at first that in adults, the bronchitis is a mild illness but in children it is aggressive and is often lethal. They were not originally aware that long after our adult mild bronchitis resolved we could still transmit the bordetella pertussis to our grandchildren. Their solution was to re-immunize adults with a pertussis booster in combination with your next tetanus shot. The combination was called Tdap. A national information campaign was undertaken to get primary care physicians to spread the word to their adult patients. The question is does it really work? In a recently published study led by Dr. Nicola P. Klein of the Kaiser Permanente Vaccine Study Center in Northern California which appeared in the Journal Pediatrics, it seems that the vaccine is only effective for a short time in the very healthy and robust 11 and 12 year children. Their study showed that Tdap protected young adolescents 69% of the time in the first year, 57% in the second year, 25% in the third year and only 9% in the fourth year. The vaccine was given during an epidemic in California in whooping cough in the hopes of averting a greater infection rate. The failure of the vaccine to provide long term benefits in adolescents and teenagers will lead to different immunization strategies. Tdap is already a milder form of a former vaccine, scaled down to prevent some of the rare side effects seen when it was administered. A possible return to that previous vaccine or whole cell preparation may be needed. Another proposal calls for vaccinating pregnant women hoping that their maternal antibodies will pass to the fetus and provide long term protection. The real question with no answer is what about the millions of adults who received Tdap with immune systems far less robust and protective than adolescents? Are they immune and for how long? No one knows because the research has not been done or published yet. Still the CDC and the NIH and the American College of Physicians call for adult immunization with Tdap. The Kaiser Permanente Study will surely establish the need for an adult efficacy investigation. Until then we will give the Tdap while we wait for answers. It does raise the question of whether our approach to adult bronchitis should include an antibiotic that treats Bordetella pertussis until a quick test is developed to distinguish it from run of the mill viral pneumonias. As school bells ring out announcing a new school year and pigskins fly through the air announcing the arrival of a new football season, the Center for Disease Control and Prevention (“CDC”) begins its annual influenza vaccine campaign. “Flu” or influenza is a viral illness associated with fever, severe muscle aches, general malaise and respiratory symptoms. Most healthy children and adults can run a fever for 5 – 7 days and fight off the infection over a 10 day to three week period. There is clearly a long period of malaise and debilitation in many that lasts for weeks after the acute febrile illness resolves. The illness is especially severe and often lethal in the elderly, in infants, in patients with asthma and chronic lung disease and in those patients who have a weakened immune system due to disease or cancer treatments. Diabetics and heart patients are particularly vulnerable to the lethal effects of unchecked influenza. The CDC recommends vaccinating all Americans over six years old against influenza. Adults can receive an injection, or a nasal application. The 2012 – 2013 vaccine has been updated from the 2011 – 2012 version based on samplings of current influenza viruses spreading around the world. It takes about two weeks to develop antibodies and immunity to influenza after you receive the vaccination. If you received the vaccine last season or had the flu last season you are still advised to receive the 2012 – 2013 vaccine this year because immunity fades with time. Flu vaccine should have arrived in most physician offices and community health centers and pharmacies by mid- August. The CDC advises taking the shot as soon as it is available. The vaccines used are not live viruses so one cannot catch the flu from the vaccine. Side effects usually include warmth and tenderness at the injection site and rarely general malaise and low grade fever a day or so later. The benefits of receiving the vaccine far outweigh these minor and rare ill effects which can be treated with an ice pack to the injection site and some acetaminophen. Please call your doctor to set up an appointment for a flu vaccine. 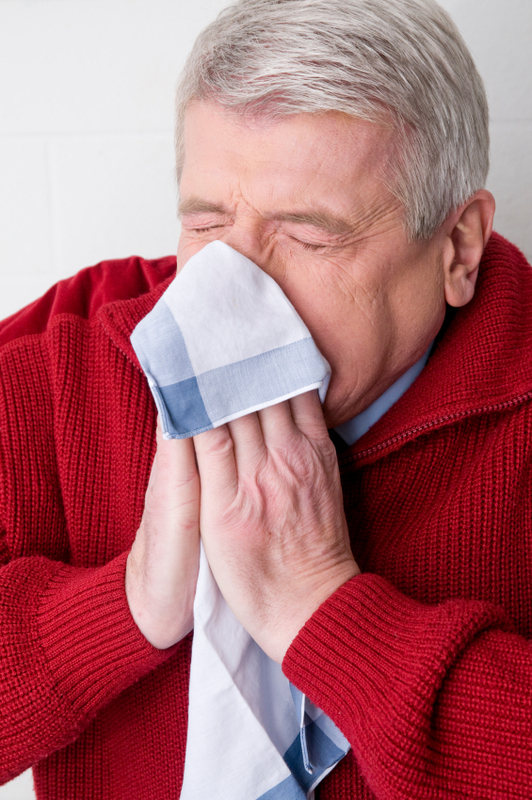 For those individuals who catch the flu we still have several antiviral agents available to treat the illness. These agents should decrease the intensity or severity and duration of the flu. We try to use these medicines as infrequently as possible because the flu can develop resistance to them over time. Prevention of disease is an ever increasing component of our everyday language. Vaccination against an infectious disease such as flu or influenza is clearly one of the more effective preventive strategies physicians have available to offer patients. While you are making arrangements to receive your flu shot inquire about several other effective adult vaccines including Pneumovax to prevent bacterial pneumonia, Zostavax to prevent shingles and post herpetic neuralgia and Tdap to prevent whooping cough or pertussis and tetanus. Whooping Cough is caused by bacteria called Bordatella Pertussis which produces a severe upper respiratory tract infection in unvaccinated children with a severe cough and “whooping “sound. The cough is so severe that they stop eating, breathing and surviving. There have been over 100 deaths of infants in Texas and California this year due to whooping cough. The disease can be prevented by immunizing children with a series of shots beginning at 2 months. Most of those reading this article had the DPT shots as children and expect to be immune to whooping cough forever. Recent studies have shown that our immunity wears out as we reach middle age. Adults can catch a form of whooping cough with a severe bronchitis which produces a prolonged cough without the classic “whooping” sound children exhibit. In most cases the adults and their doctor have no idea they have whooping cough. If not treated with antibiotics the bronchitis lasts for months and they can spread the infection for months after the symptoms resolve. The adults have no idea they are still infectious. If they come in contact with children who have not completed their vaccination series, or who just didn’t mount an immune response, those children can get the life threatening whooping cough disease. The disease is passed from well meaning adults to susceptible children. It passes from parents and grandparents to infants as well as from teachers and caregivers to infants. There is no simple out- patient laboratory test to distinguish simple adult viral upper respiratory tract infection with bronchitis from the whooping cough variant. The best way to prevent giving this disease to young children and, infants in particular, is to receive a booster vaccination of Tdap. The Center for Disease Control is suggesting that every 7 to ten years all adults receive a tetanus and diphtheria booster. One of those vaccinations should be the Tdap version. Originally Tdap was limited to 45 – 60 year olds, but last week the CDC said it is safe for all adults and seniors. Protect your children and grandchildren against the whooping cough epidemic. Ask your physician about getting Tdap.